1. 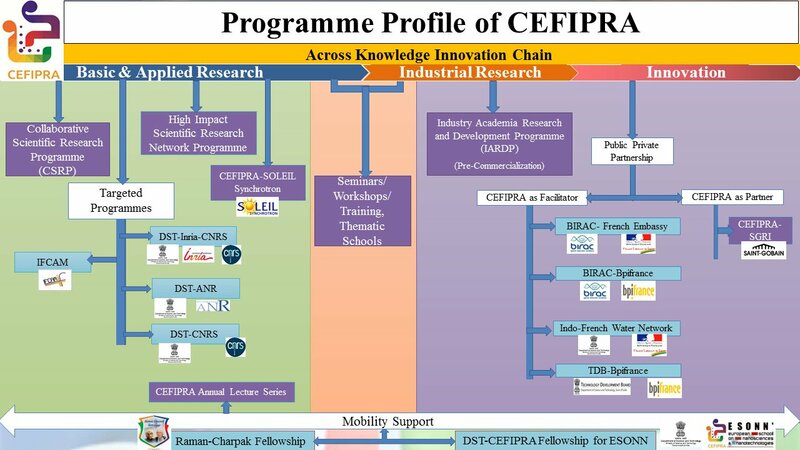 CEFIPRA participated in the Indo-French Technology Summit held on 23-24th October, 2013 at New Delhi. 2. An Outreach Programme was organized on 22nd May, 2014 at Université de Rennes, Rennes, France. 3. An Outreach Programme was organized on 21st November, 2014 at Indian Association for the Cultivation of Sciences, Kolkata. 4. CEFIPRA participated in Euro India Technology Sourcing (EITS) & Business Opportunities held on 9-10th December, 2014 at Metz, Lorraine. 5. An Outreach Programme was organized on 2nd June, 2015 at University of Nice, Sophia Antipolis, Nice, France. 6. An Outreach Programme was organized on 24th July, 2015 at Institute of Advanced Study in Science & Technology, Guwahati. 7. CEFIPRA participated in Open House Session on “India-EU funding opportunities” organized by INDIGO Policy on 17th December, 2015 at New Delhi. 8. An outreach programme was organized by CEFIPRA during Annual Lecture Series in June, 2016 at Paris & Cean. 9. An outreach programme was organized by CEFIPRA from 10-11th October, 2017 at Kalinga Institute of Industrial Technology (KIIT), Bhubaneswar. 10. CEFIPRA participated in 3rd India International Science Festival (IISF) 2017 held from 13-16th October, 2017 at IIT Madras, Anna University, Madras University, Chennai.